The iClone Plugin for Perception Neuron has made its official launch after a period of beta testing which showcased how easy mocap and animation could be when combined seamlessly into an integrated workflow. Promo priced software/hardware packages are available through September 30 on neuronmocap.com. The Reallusion iClone Perception Neuron Plugin and Promo Bundles offer a complete suite for creating live 3D character animations. Live animation with full body motion has been a dream for many and with this combination, the possibilities for live and recorded animation are nearly limitless and very affordable. After several months of a successful beta testing campaign, the iClone Perception Neuron Plugin has launched, putting the power of Perception Neuron’s motion capture combined with Reallusion’s 3D character animation software into the hands of animators, filmmakers and game developers. Developed for both recording animation as well as for live performance capture, the iClone Perception Neuron Plugin is available in SINGLE or DUO capabilities allowing either one or two simultaneous character mocap. The plugins will be available for purchase from the iClone website at special promotional launch prices of $199 and $299 for the SINGLE and DUO respectively. In addition, Perception Neuron will launch specially priced software/hardware packages that will not only include their motion capture suit, but also the complete iClone animation suite. Prices start at $1,490 for one 18 Neuron kit + software, and go up to $3,190 for two 32 Neuron kits + software. These packages will be available exclusively on the Perception Neuron website. These bundled packages will combine the adaptiveness and versatility of Perception Neuron’s motion capture tool combined with Reallusion’s 3D character creation capability, motion editing, and facial puppet and audio lip-sync tools offering animators a complete and robust solution for their content development. The iClone Mocap Live for Perception Neuron bundles offer a complete, live character animation platform that can be exported to any game engine, or 3D app, thanks to a comprehensive FBX and BVH motion pipeline for use by small studios, school media labs, institute training centers and independent artists everywhere. 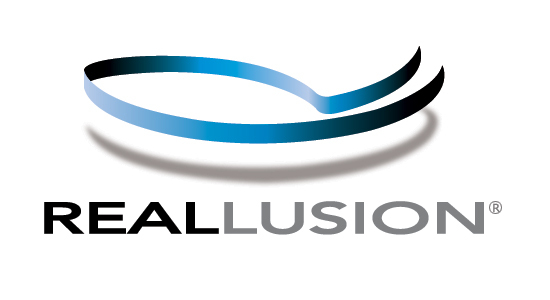 "I am very excited to see a seamless integration between iClone and Perception Neuron tools, says Charles Chen, CEO of Reallusion. “Through the rigorous Beta period, Reallusion and Noitom worked closely to push forward many technological advancements that made all of this possible. The articulate, wireless body capture along with the delicate finger motion tracking give iClone 3D characters unprecedented freedom of performance. In addition, the power to live record dual character interaction gives motion designers everywhere, another huge productivity lift." To visit our online store, or for more information about the iClone Mocap Plugin please go to http://mocap.reallusion.com/iClone-neuron-mocap. Founded in 2011, Noitom Ltd. works with a team of dedicated engineers who develop world-class motion capture technology for consumer and industrial markets through the integration of MEMS sensors, pattern recognition, human kinetics and wireless transmission. Noitom is an international leader in innovative technology for use in animation, film, medical applications, robotics and gaming. Noitom is headquartered in Beijing with affiliate offices in Shanghai and Shenzhen. The company also has two US offices located in Miami and Scottsdale. For further information about Noitom and its services, please visit, http://www.noitom.com. For general inquiries, please email, info(at)noitom.com.